The Indian Institute of Foreign Trade organises the IIFT exam annually for admissions in its two-year MBA in International Business which is provided at its New Delhi and Kolkata campuses. This written examination further has an Essay Writing task, a GD round and a Personal Interview round. Students looking forward for IIFT preparation can take help of various previous year question papers including detailed idea of the examination pattern and could go through mock IIFT tests available online on various websites. Before going to the section wise planning for IIFT, let's assess the changes in IIFT paper over the last few years. Most students preparing for this examination are also appearing for other MBA tests. Therefore, preparation of both the examinations is almost similar. General Aptitude is the only part for which students are advised to spend some time apart from the normal syllabus. There is Quantitative Techniques & Data Interpretation and selected areas of Reading Comprehension that falls under the concept driven segment. For this segment we advise the students to practise past and similar questions that have the direct impact on the up-coming CMAT examination questions. IIFT entrance test is a 2 hours written test. Thus, the understanding of preparation for IIFT exam is most important. 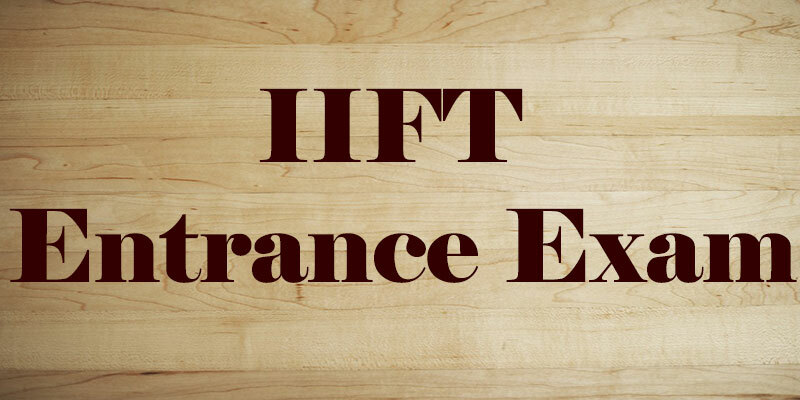 There are various topics to be covered in IIFT examination. Thus, the students are advised to prepare for every topic, every section in detail and if prefer to go for a single subject at a time. The preparation for CAT and IIFT examinations syllabus is almost similar. Let us first go through few tips which are covered in IIFT examination, individually on each topic. The questions in this section are Logical sequence, Blood Relations, Assumption, Binary Logic, Inference, Judgment, Calendars, Clocks and Analogy, pie charts, data tables, line chart and combinations. For the logical reading section, students require to work hard for family trees and complex data conditions. This section contains mainly Mathematics related questions. The subjects under it are percentages, allegations-mixtures, inequalities, speed, distance and time, averages, sets-functions, number system, profit-loss, time-work, simple-compound interest. This part is totally concept bases test that need to have clarification about all basic concepts. This section checks the reading capabilities of students and also consists of 3-4 English comprehensions. This part also checks the basic knowledge about grammar and its proper use for the various sentence formations and fill-in blanks part. Thus, a student must develop a habit of reading daily national newspapers, educational and general magazines that improves vocabulary and this approach helps scoring good marks in this section. The General Knowledge syllabus mostly consists of Current Issues, Sports, National and International issues, Economics, Current affairs, Literature, latest inventions and many more. Students also need to put some efforts for history, geography, political science topics. In today’s time, magazine, daily newspapers and journals on various topics are the best way to prepare and full your knowledge for the IIFT entrance examination at a single platform. These current topics boost the confidence of students that helps them in better performance during the examination. Moreover, students could update themselves with various online topics, that these days are the best and instant source of information. One common mistake in the ambitious students is that they never practise time bounded approaches. Due to this, students are not able to complete various topics within time that results in an incomplete paper. Thus they must practise time bound approach to solve questions. The topics that are not easily understood by the students need a special attention during the preparation of IIFT examination. If students started preparing for the exam, then they have much time to spend on their doubtful topics. However, if students are short of time then they should focus on covering and practicing topics which are much clear to them. This would save wastage of time in understanding those topics and students can make use of that time for revision. Ambitious students for this IIFT examination should take care for the negative marking. The negative marking means 1/3 marks will be deducted for every wrong answer. Therefore, students should attempt the well prepared questions only. Students could not take it lightly. Negative marking has bad impact on final results. Therefore, there is no need of any guess for the answers. Students must try to write small notes about the topic they prepare because things in writing habits last for longer time than verbal preparation. Moreover, students would find those small notes useful during their final revision. Revision plays the most important while preparing IIFT and other examinations. Revision is a vital part that gives extra confidence during preparation and final examination. As much is the revision, more are the chances to clear various concepts regarding various subjects and reading topics. We wish you all the “Best of Luck” for your IIFT entrance Examination and hope you found all the required information on the preparation of IIFT Entrance Examination and we welcome your all queries, suggestions, complaints or question and please mention them in the comment section and we will try to resolve them to make you aware of all the queries. To keep yourself updated, check more articles on our website.